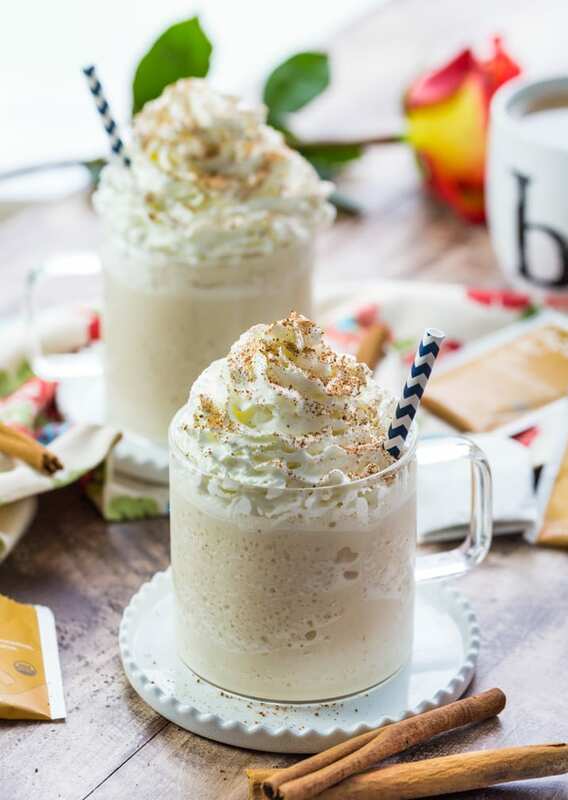 Chai Tea Latte Milkshakes, the best of both Summer and Winter! 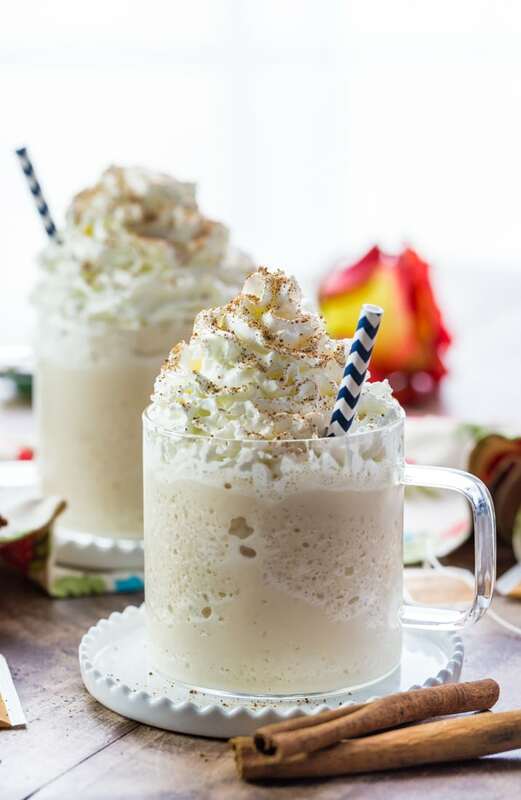 This creamy icy version of everyone’s favorite coffeehouse drink is just begging to be made this Summer! In colder weather, is there anything more comforting than a warm Chai Tea Latte? Cozied up cuddling with the fur babies, watching reality tv (no? just me?) and sipping on Chai Tea. My heaven. But I want it to continue into Summer! Well…now it can! 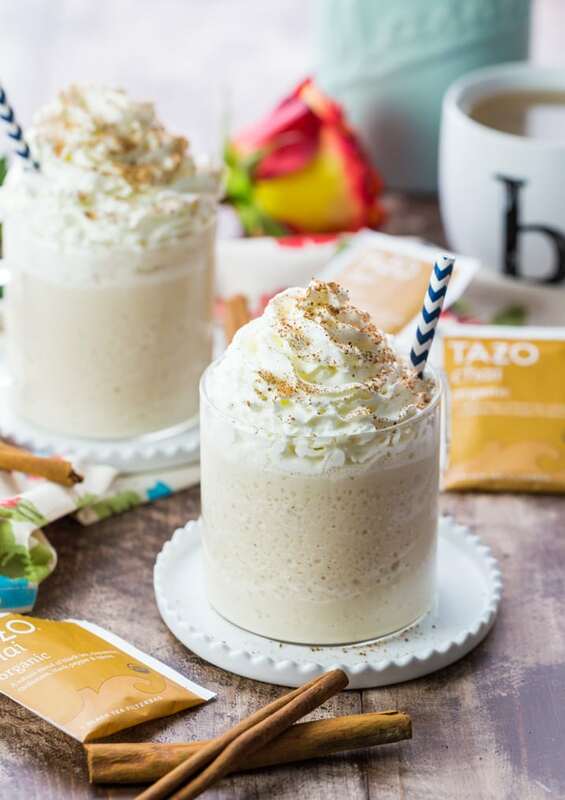 You don’t have to be a certified barista to make these Chai Tea Latte Milkshakes at home. Lucky for the simple folk among us (ME), you can buy Chai Tea teabags. YESSSSS. Makes these milkshakes a breeze. A tasty, delicious, refreshing, and caffeinated breeze! I love these so much, I might even make them in the Winter too. Just call me a rule breaker. Totally worth it! 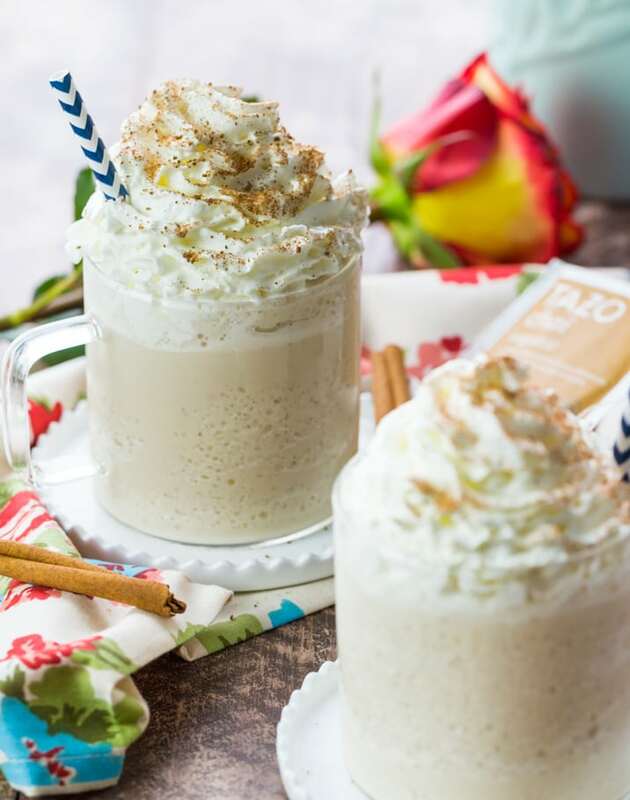 Chai Tea Latte Milkshakes, the best of both Summer and Winter! 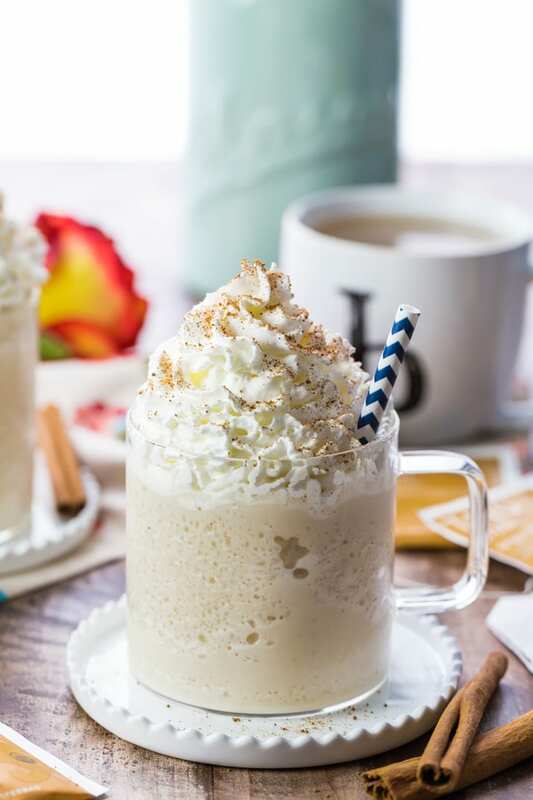 This creamy icy version of everyone's favorite coffeehouse drink is just begging to be made this Summer! OPTIONAL: A splash of Bailey's Irish Cream to make it extra fun! Prepare tea by heating milk in a medium saucepan over medium heat. Add cinnamon and tea bags and allow to simmer for about 5 minutes. Remove from heat and allow to steep for five more minutes before removing cinnamon and tea bags. Allow to cool for 20 minutes, then add tea and ice cream (and Bailey's if you're over 21) to a blender and pulse until well combined. If too thin, add more ice cream or ice to the mixture. 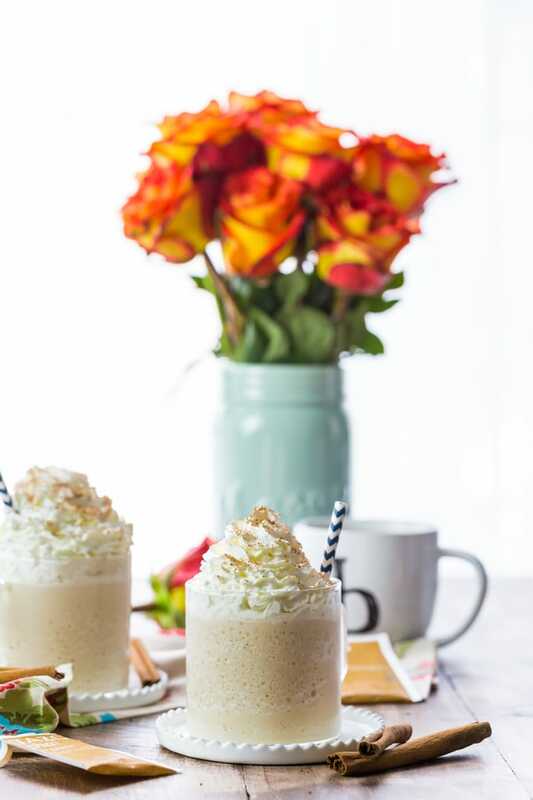 Serve topped with whipped cream and ground nutmeg. Enjoy! I LOVE these!! So light and refreshing just like what you would want with a chai latte but frozen!! So yummy! Perfect summer treat. Thanks Catie!! I stopped by your site and it looks great! Your logo looks amazing! Thanks a bunch! I’m really excited about it! Chai tea is my favorite! 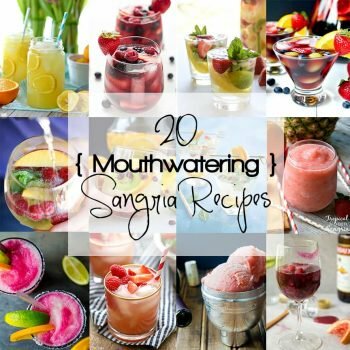 I don’t drink any other flavor of tea and I cannot wait to try this recipe! 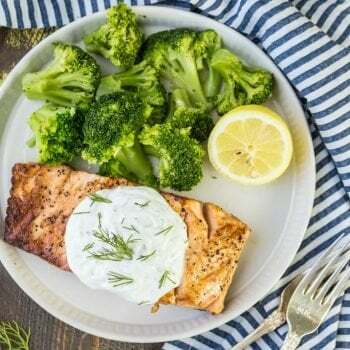 Becky, this looks fantastic! I don’t drink coffee, but love chai tea. I feel like I miss out on a lot of the fun coffee drinks! Will be making this. This milkshake looks delicious! Plus your photos are gorgeous as always! Those milkshake look absolutely fantastic! 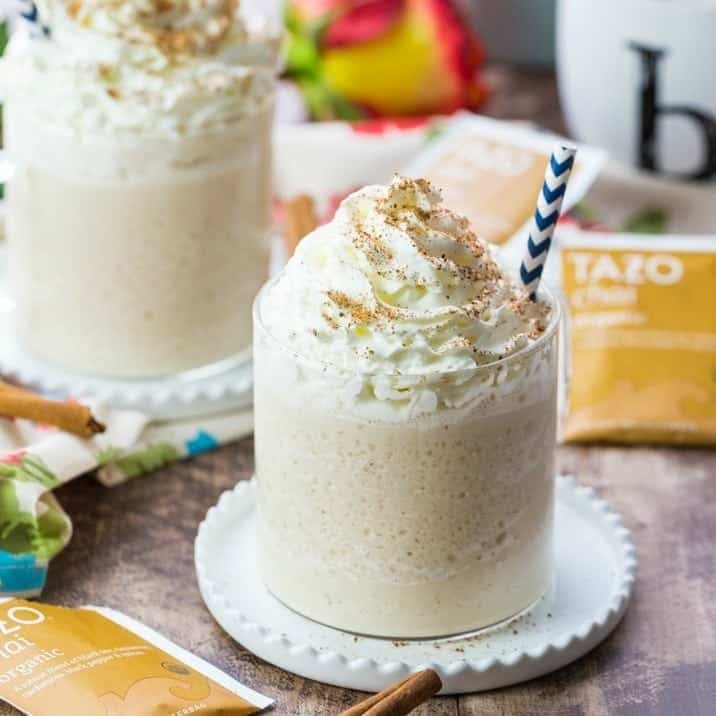 What a great idea, turning a chai tea latter into a milkshake! I love chai and your pictures are gorgeous! Who could resist one of these milkshaes? Not me! OH. MY. Chai is my absolute favorite. And really, in milkshake form? Danger! Can’t wait to give this a try! Thanks Melanie!!! Ha, dangerous for sure but not as dangerous as your PB Cake! OH MY!!!!! Looked so ridiculously amazing! Gorgeous photos! 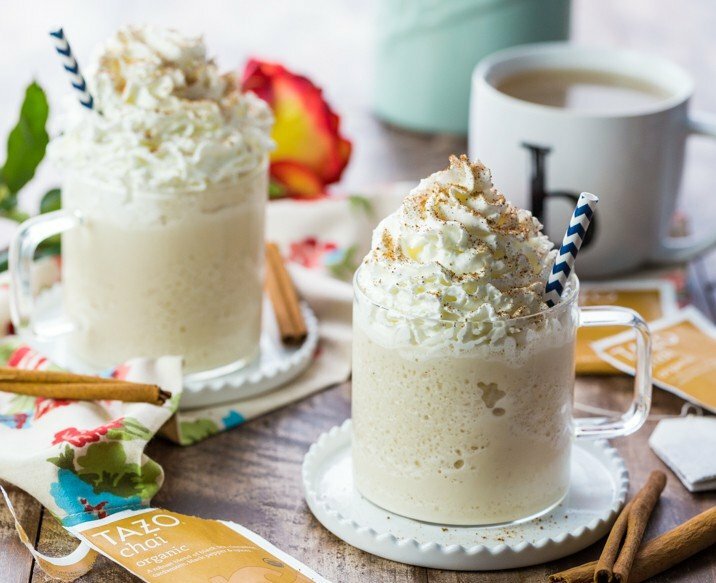 This chai tea looks amazing! It would definitely put me in a happy place. Pinning. So is it bad that I would totally eat this for breakfast right now??? haha Love these! So yeah seriously, whenever you want to come over and drop off all of these delicious recipes you have me swooning over I am totally available. Ya know, whenever you have a free moment. You are seriously killing me here. Pinned (obvi). JUSTINE! You are so funny. I wish we could be neighbors!! BC I happen to love your recipes too!! !